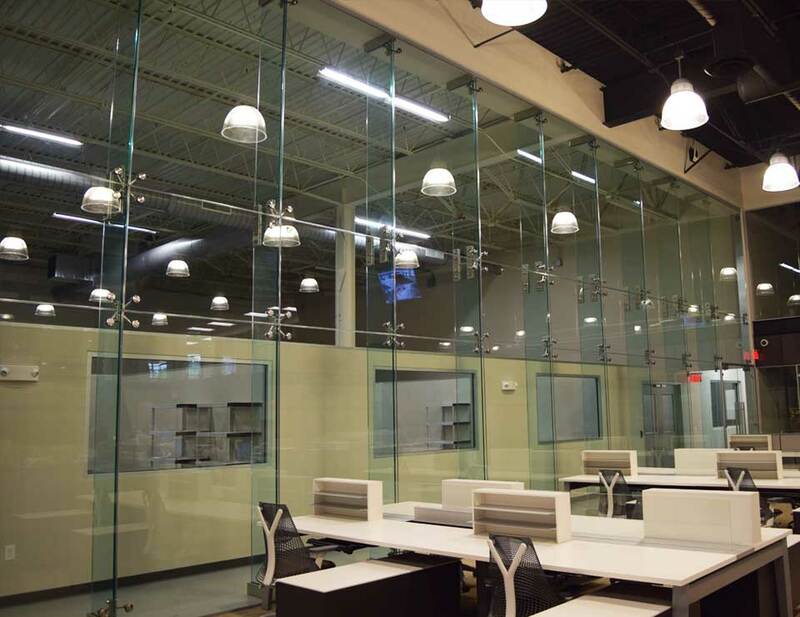 The Elevare™ Mullion High Wall System is an innovative, contemporary looking, complete supporting interior partition system based on the concept of structural facades with the use of vertical aluminum mullions. The Elevare™ Point Support Single Glazed High Wall System is an innovative, contemporary looking, complete supporting interior partition system based on the concept of structural facades with the use of vertical glass fins. 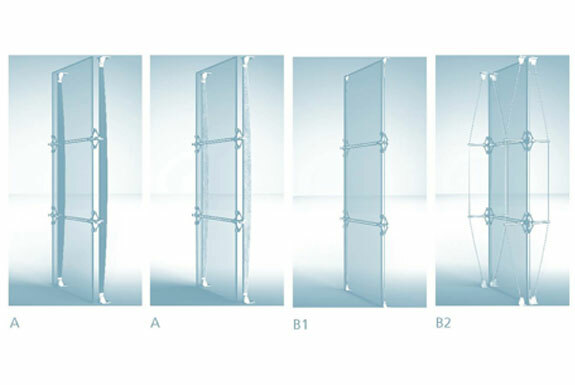 The Elevare™ Stacking High Wall System is an innovative supporting system for the double glazed partition system. 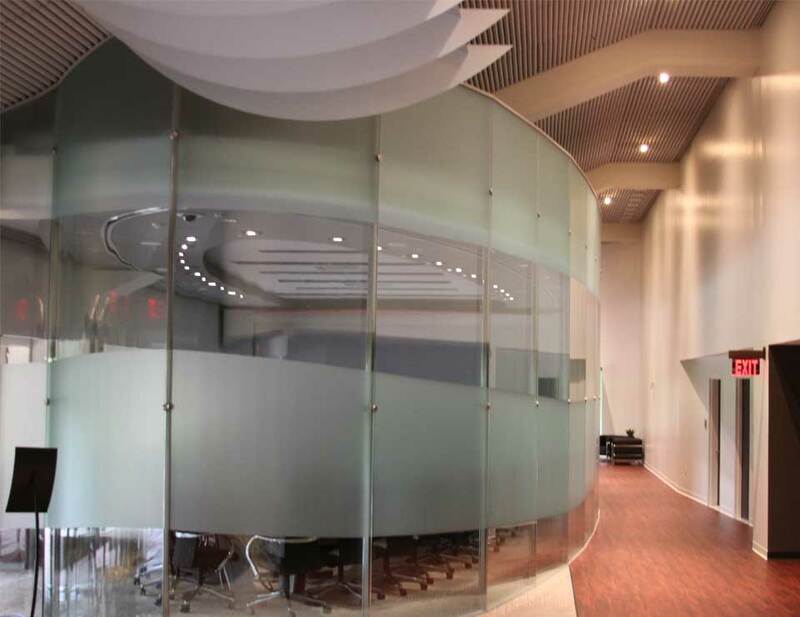 This system allows for the acoustical rating of a traditional solid while still achieving the beauty and stylishness of a glazed partition. All perimeters are fastened to solid walls. 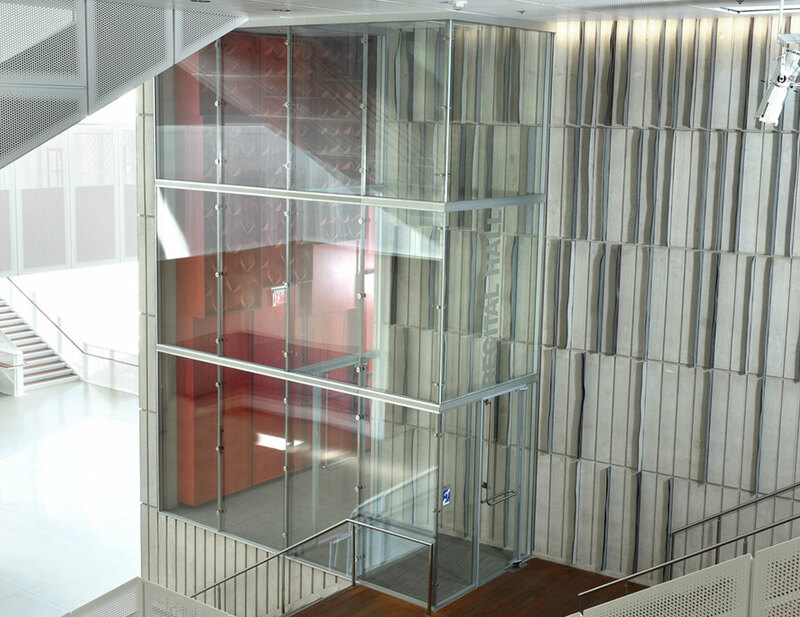 The Elevare™ Tension High Wall System is an innovative supporting system for monolithic, laminated or insulating glass without drilling or cut outs. The system features a system of studs of composite materials, top mechanical resistance and REI certification for fire resistance.